I saw a number of these fliers (this one, unfortunately was stapled to a tree— but we’ll let that go) posted around Bedford Avenue and North 7 Street recently. 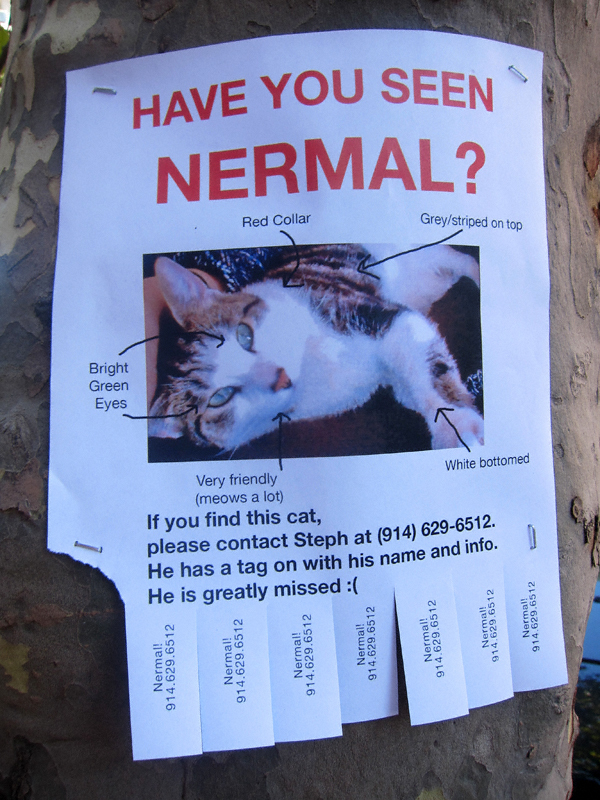 If anyone reading this has seen Nermal or know of his whereabouts please contact his person at the above-listed telephone number. Thanks!